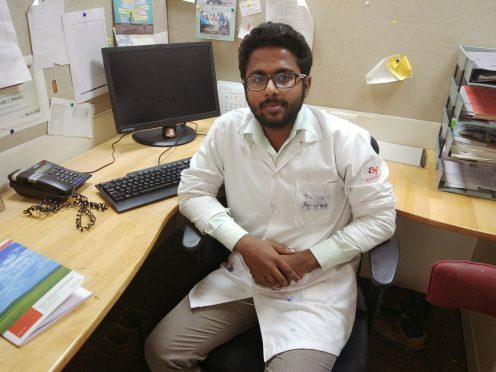 About the Author: Jomin Thomas, a polymer technology student from Cochin University of Science and Applied Technology, talks about his venture into polymers. As a part of my curriculum, I was to do my thesis project in an established institution for a year. Thus, I began my search for internships following a set procedure. The first step was to get a comprehensive view of my interests and comforts and the areas and places I wanted to work in. Being a student of polymer technology, I was looking forward to working in areas of polyols and polyurethane. Polyethylene bags and PET bottles forming wastes in the environment are of a major concern these days, and I wanted to make a difference by making the environment safe from polymer waste. The next step was to list companies that suited my interest which were Pidilite, IOCL, Reliance, Asian Paints, etc. The next step was to contact the concerned functionaries of these companies. I wrote customized emails for each company and sent them with my resume, a letter of recommendation from my HOD, a motivation letter, grade cards, and my published papers. I received positive replies from various companies, but I chose Asian Paints Ltd. on account of the project, location, and stipend. The selection was based primarily on a technical interview followed by an HR round. I received a call from the HR who explained the details of the internship and scheduled my interview with a senior scientist. I recapitulated my projects, studied paints, and the current advances in the industry. I was anxious but I had the confidence to give my best. The interview began with an introductory session after which I was asked why I chose to study polymers. I told him about my passion for polymers and its applications and mentioned that this was the era of material science. He asked me about my previous projects and internship, and my expectations from this internship. He also asked me why I chose Asian paints and how I could be an asset to the company. I expressed my interest in sustainability and convinced him of my determination and hard work. The interview went for about half an hour wherein I gained an insight into what I would be working on if selected. Later that day, the HR told me about the stipend and the formalities involved which also included signing a non-disclosure agreement. Within a week, I was informed of my selection. On my first day, I was given a tour of the company after carrying out some security measures and formalities. I was shown around the research facility, departments with hi-tech equipment, the central library, seminar halls, conference rooms, canteen, and the other parts of the facility. I was assigned to the resin department which is called the base. I was introduced to the research group and given insights into general lab safety procedures, personal protective equipment, and how to make paint batch. I was assigned to one of the researchers there who trained me on various aspects of resin manufacturing. I observed all the research work going on there and by the end of the month, I could run a batch on my own. I was a part of various cost reduction experimental resin batch runs and tests, and I processed and evaluated them. After an intense literature review, I ran my first batch on acrylic polyol. I worked on formulating new high functional solvent free acrylic and learnt about base alkyds, polyols, acrylics, polyesters, etc. I was given a project on environmental sustainability to make solvent free paint. Currently, I am working on the development of sustainable products to reduce our carbon footprint and improve hygiene standards. Working in a world class research department is both thrilling and innovative. It is my third month as a research intern, and I am proud to be a part of an innovative, agile, and responsive research and technology facility. Are you on a lookout for an electrifying opportunity? Check out these cool chemical engineering internships.